This page is part of a series on WordPress plugins. Use this message block to group similar posts. You can even add html, so that you can include a link to the relevent tag archive or category archive. Since the best way to see how this works is to see the output, here are all the message blocks available. Use this message block to give a brief overview of what your page is about. This message block was inspired by the nutshell template used on MediaWiki. 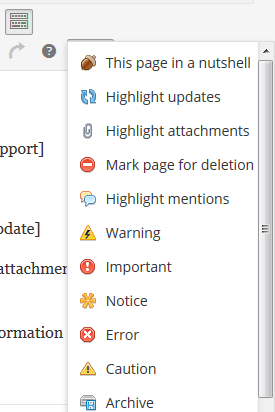 Use this message block to highlight any updates or changes to your page. Both this template and the one below it are what inspired me to create this plugin. I find them highly useful on tutorial pages. Use this message block to highlight any files that your readers can download. Use this message block to inform your readers that you may delete this page in the future. Invite them to comment as to whether you should delete the page or not. Again, this was inspired by the delete template on MediaWiki. Use this message block to highlight any places this page has been mentioned. 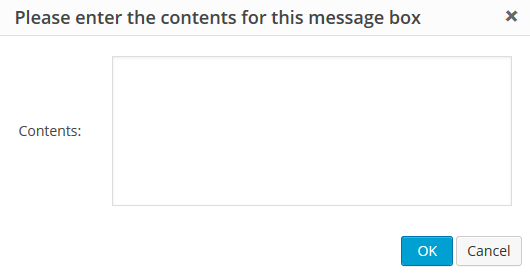 You can also embed Tweets directly in the shortcode. Use this message block to provide a warning to your readers about possible graphic or NSFW content. Use this message block to highlight important points your readers should remember or pay attention to. Use this message block to highlight points that readers are apt to forget. Use this message block to indicate areas people typically make mistakes. This can be useful in tutorials, or any sort of how-to article, such as a recipe article. Use this message block to highlight areas where people should be cautious or especially careful. 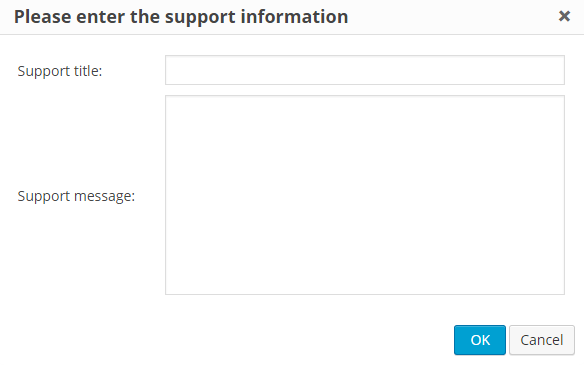 Use this message block to indicate that a page has obsolete, deprecated, or out of date information, but that it is being maintained for historical purposes. Use this block to highlight ways that your readers can get more help with a given topic. You can also use our contact form for non-urgent issues. Use this message block to indicate how your efforts extend around the world. Use this message block to indicate your environmental efforts, or actions your readers can take to help the environment. Use this message box to highlight any statistics about yourself or your site. If you want to try this out before it is approved, you can download it here. Comments and suggestions are greatly appreciated. If this looks familiar to you, you probably use the Graphene theme, which is where I got the original idea from. After that forum post, somebody else asked about it, and that led him to create a large number of message blocks. Unfortunately, his web site is no more, but trust me, he had some really great looking blocks. To all the great people behind Graphene, I say thanks for your help and ideas. I greatly appreciate it. « New WordPress Plugin in the Works!